Does Lemon Water Burn Fat? People who have difficulty losing weight, will often try anything in an attempt to speed up the process or at least improve the results they normally get when shedding those pounds. This often results in dieters trying various fad diets and even dietary supplements, that waste their time, money and sometimes result in added weight gain rather than weight loss. Using lemon water as a diet aid has been around a good number of years, and is seeing a resurgence in popularity recently. But many people still wonder whether lemon water burns fat or not. Here are the facts, about lemon water and weight loss. For starters let’s get one thing clear. Lemon water in and of itself does not burn fat in any way, shape or form. If that were the case, you would never see anyone paying big bucks to go to the gym, hire personal trainers for weight loss, or join weight watches and other diet programs, the entire world would simply be sipping on lemon flavor water and be thin and healthy. That being said, Lemon water can still aid many dieters in their efforts to lose weight and has a number of healthy benefits as well. Here are just some ways in which lemon water can help you achieve your weight loss goals. Lemon water has zero calories so most people can drink as much as they want as often as they want without adding any calories to their diet. In fact, if you substitute lemon water for sugar laden fruit juices and soda pop, and other high calorie drinks you will actually be consuming less calories which will help you to lose weight in the long run. On average replacing high calorie drinks with lemon water can help the average person reduce their calorie intake by 230 to 390 calories a day. In addition, drinking lemon water throughout the day will help to keep you hydrated. This is important for your health and in addition, many people often mistake thirst for hunger pangs and reach for food instead of water. If you are drinking lemon water throughout the day, you won’t be thirsty and therefore you are less likely to have those “mistaken hunger pangs” that is really a sign of slight dehydration. Along with keeping you hydrated, drinking lemon water throughout the day help keep you feeling full between meals, further reducing those hunger pangs that drive many people to eat. So again lemon water (and even just water in general) can help you reduce your overall calorie intake which results in more consistent weight loss. There is some evidence that drinking a cup of warm lemon water first thing in the morning and again before bed, and drinking cold or warm lemon water throughout the day will help to stabilize blood sugar levels. A lot of the food, especially the sweet cravings dieters get are due to blood glucose levels falling, causing them to feel a lack of energy and a need to eat. When blood sugar levels remain stable, people experience less cravings for sweets or for those high carbohydrate snacks which again can lead to reduction in your overall calorie reduction continued weight loss. When you include the drinking of lemon water as part of an overall healthy diet, you can also expect to benefits from added health benefits. Lemon water is a natural diuretic and laxative so it can help your body to stay regular and reduce excess water in your body. ( water adds to your overall weight). 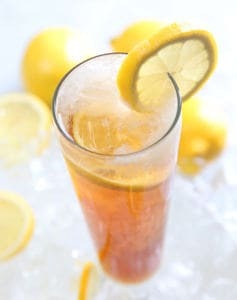 In addition, lemon water is rich in vitamin C which helps your body absorb calcium and strengthens your immune system. It is also believed that lemon water can help you feel more energized which can make you more likely to exercise. So while lemon water may not actually melt away those pounds or burn fat, it can help you to achieve your weight loss goals in a number of healthy ways.